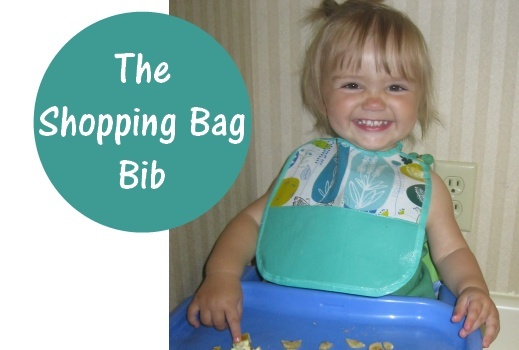 Shopping Bag Bib Tutorial - Peek-a-Boo Pages - Patterns, Fabric & More! 1. Find a bag ready for a new life! Or you can pick up a new one- Marshalls & TJ Maxx have really cute ones for $1. Pick apart your bag and save the “bias tape”. Cut out your bib pieces. Most bags have a different color on the bottom panel and I used that for the bottom portion of my bib and the pocket. 2. Pin the pocket in place and then sew your salvaged bias tape around the outer edge of the bib. 3. Sew another length of bias tape around the neck leaving some long tails for tying the bib on. ***Make sure you save your leftover pieces- 2 more projects are coming your way! Very good innovation! What you’ve done is that you’ve to the world that there lots of ways to recycle shopping bags and that includes plastic bags. Indeed, it’s ingenuity at its finest. this is one of those brill ant crafting moments. love this. I can’t wait to read all the follow ups to this! SO CUTE! Totally linked to you yesterday!